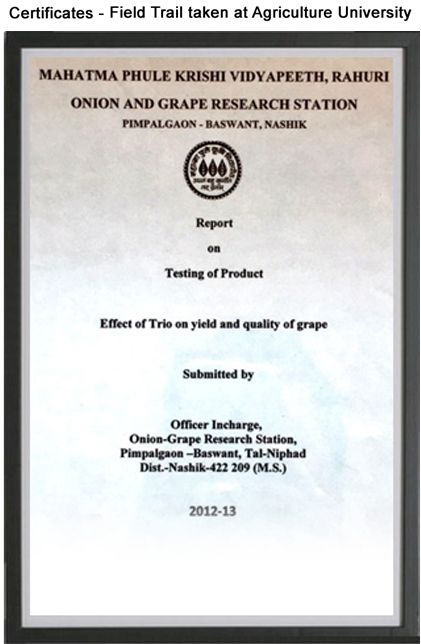 We are Manufacturer, Supplier & Exporter of Grape special Products and our setup is situated in Nashik, Maharashtra, India. Contents: Gibberellin Catalyst, Amino Acid Complex, Herbal Extract Trio is Gibberellin dipping media. It is added to the water in which G.A. stock solution is mixed . Trio maximizes G.A. efficiency to get elongation of bunch steam. It also makes sub branching of bunch. This improves bunch shape & size. 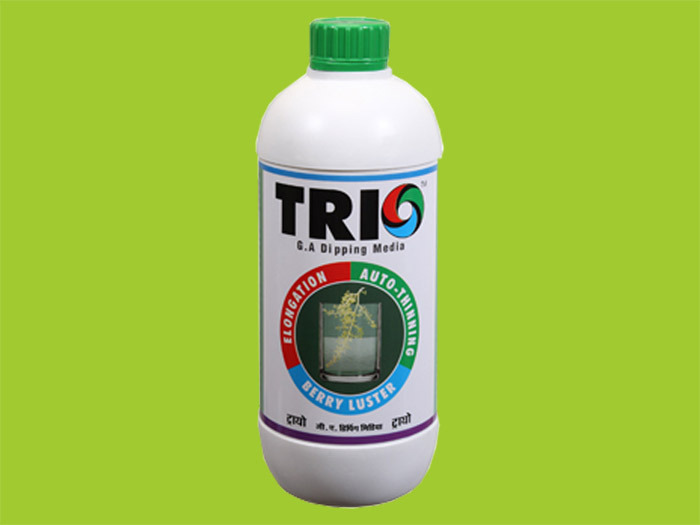 Use of Trio in all three G. A. dipping results in automatic berry thinning elongation & imparts luster on each berry How to prepare TRIO Dipping Media Solution : Add 5 ml Trio to 1 liter of water to make 1 liter Trio dipping media solution for G.A. application. To this add G.A. Stock solution. 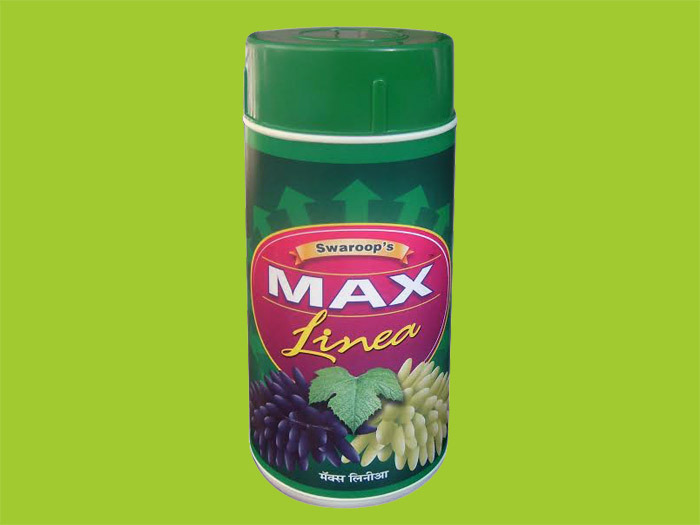 Contents: Auxins, Vitamins, Herbal Extracts Caplong is specially formulated product to get elongated berry size in Grape cultivation for variety such as Sonaka, Thompson, Manik Chaman etc. 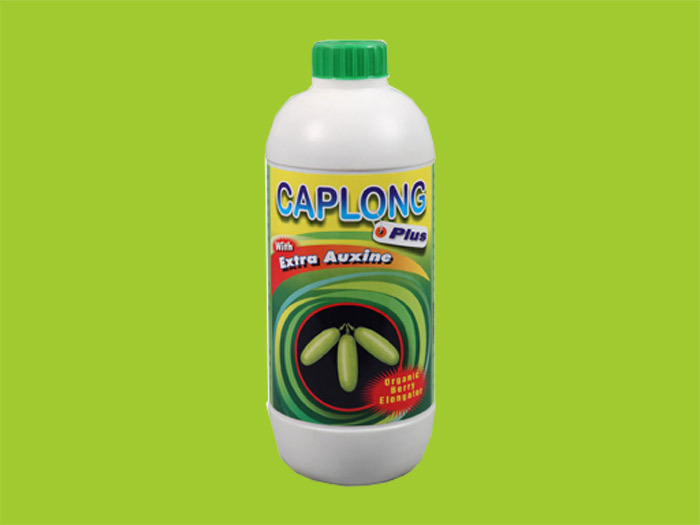 Caplong not only hepls in elongation but also imparts shining & attractive colour to the berry. 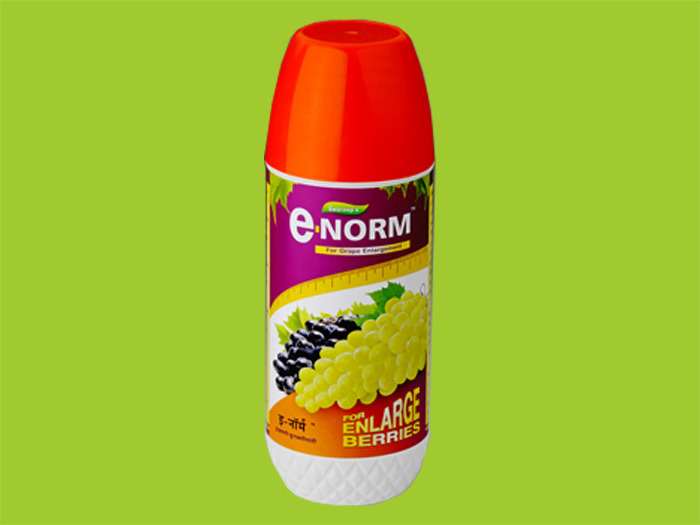 When used along with Biostimulants such as Chargex / Swatim / Brassgrow it brings about elongation as well as Lateral growth of berrys. Contents: Biologically derived & developed complex enriched with positively charged metallic ions Mummification is generally observed in black coloured varieties of grapes (Thopmson) and in the case where higher number of bunches are retained on the grapevine for more yield. 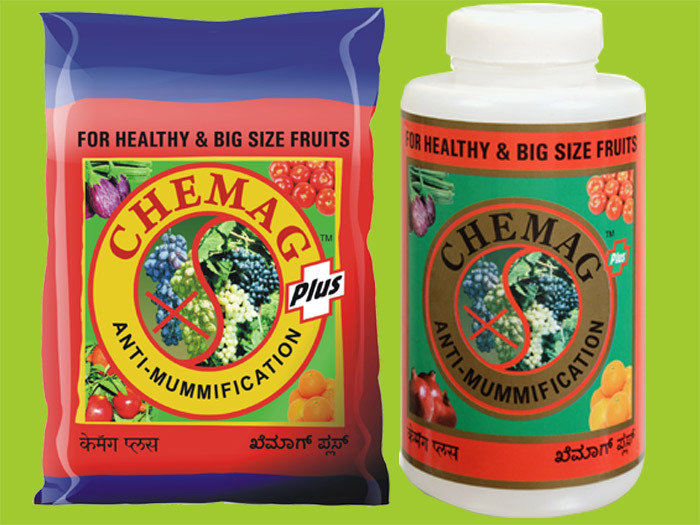 The mummification is the result of imbalance of water & solid material present in the berry. Chemag if sprayed in sunlight on plant, the metallic ions present in it forces the stomatas to open. This opening of stomata allows the transpiration & respiration to function smoothly and thus the water is circulated in the plant body. This greatly reduces the chances of mummification.